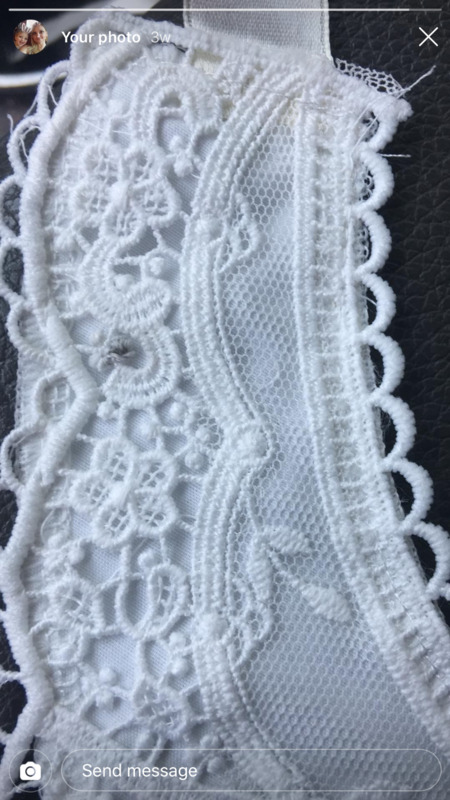 Our lace bib is a beautiful delight! Stunning lace makes this baby necessity irresistibly stylish! With gorgeous lace detail , scalloped edges and a satin ribbon, you won't be able to get enough of this perfect vintage piece! I bought this to use as a lace collar in a Ruth Bader Ginsberg costume. It worked great and looked super cute. The quality and detail are amazing too! I’ll be using it for more outfits. I will forever buy from this app. The clothes are great material and soft on my baby's skin. I will forever buy from this app. The clothes are great material and soft on my baby’s skin. I wouldn’t recommend this for a toddler but more for a small baby. Very cute though.